Newberg City Manager Joe Hannan said the city is working on several paving projects, all which are moving toward completion. 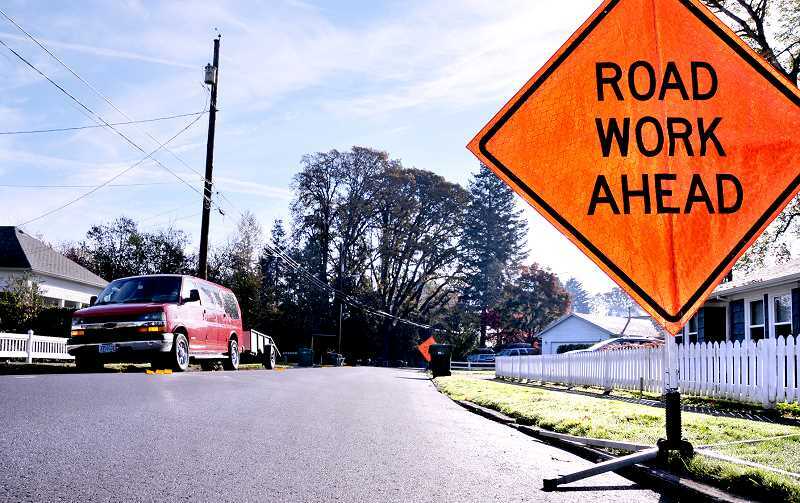 In Hannan's notes to the Newberg City Council during the Nov. 5 meeting, he said K&E Excavating has reconstructed Fifth Street from River to Wynooski streets. The company removed existing pavement, excavated the subgrade and installed nine inches of crushed rock over the base. The new surface has three inches of asphalt, an inch more than the previous pavement. Paving on Wynooski Street between Willamette and Seventh streets ran Oct. 23-26. The city was also replacing the wastewater line on East Fifth Street, which installed 1,000 feet of new line under East Fifth Street, 200 feet under South Chehalem Street and 200 feet under South Willamette Street. According to the city's website, the streets needed rehabilitation. "Since the city will be working on the wastewater line on this street it made sense to complete the pavement rehabilitation," the website reads. "The sidewalks and curbs are also below standard. When the project is completed, the goal is to have completed the wastewater work, ADA & sidewalk, curb, gutter and pavement." K&E Excavation was working to reconstruct the street and removed existing pavement and excavated the subgrade before installing nine inches of crushed rock over the base. Additionally, sidewalks along Fifth Street are being reconstructed to meet the standards of the Americans with Disabilities Act. Drainage and catch basins are also being improved along the street and trees with overgrown roots that lifted existing pavement are being removed. Haworth Street is also undergoing reconstruction as the process of grinding is nearing completion. Pavement replacement was expected to be completed by earlier this month. Work on Villa Road involving sidewalks and barrier walls is nearing completion as well. The project saw substantial improvements to the roadway surface and alignment, as well as required bicycle and pedestrian improvements. These improvements also addressed flooding issues from Hess Creek. According to the city's website, this section of road was in need of substantial improvements to the roadway surface and alignment, as well as needing improvements for pedestrian and bicycle roadways.